Deductibles are common in many forms of insurance. They place responsibility for the initial cost of certain claims — and some of the risk — back on the insured. Basically, a deductible is the amount you must to pay out of pocket before the insurance company will step in and pay for the loss of your property. Say your $5,000 diamond necklace is stolen. If your policy has a $500 deductible, the insurance company will reimburse you $4,500. If your policy has a $1,000 deductible, the company will reimburse you $4,000. Insurance companies won’t ask you to pay the deductible to them. They will just subtract it from the amount of the claim. But not all aspects of a policy are covered by a deductible. For example, if you are found to be liable for another person’s medical expenses, no deductible will apply. Deductibles can allow flexibility when you are shopping for a policy. They allow consumers to fine tune their risk levels based how likely they think they are to suffer a loss. Because the amount of the deductible is directly linked to the premium, the higher the deductible, the lower the premium. 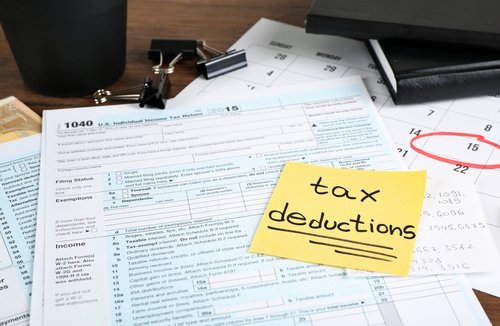 In some cases, the amount of your deductible will determine whether you make a claim at all. If your $400 bicycle is stolen, and your policy has a $500 deductible, you won’t be able to make a claim because the policy only covers losses greater than $500. Conversely, if your bike is worth $600, you may decide just to assume the remaining $100 loss rather than making a claim against your policy.